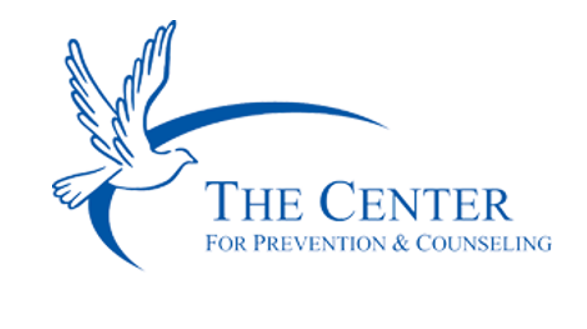 NEWTON, NJ – The Center for Prevention and Counseling will be holding a Lunch ‘n Learn on Friday, October 17, from Noon to 1:00 in their 2nd Floor Classroom at 61 Spring Street, Newton. 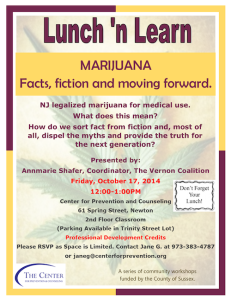 Annmarie Shafer will present on legalized marijuana for medical use, sorting fact from fiction in the nation-wide debate on marijuana legalization, and how to provide the truth to the next generation. Attendance is open to the public and professional development credits are available. 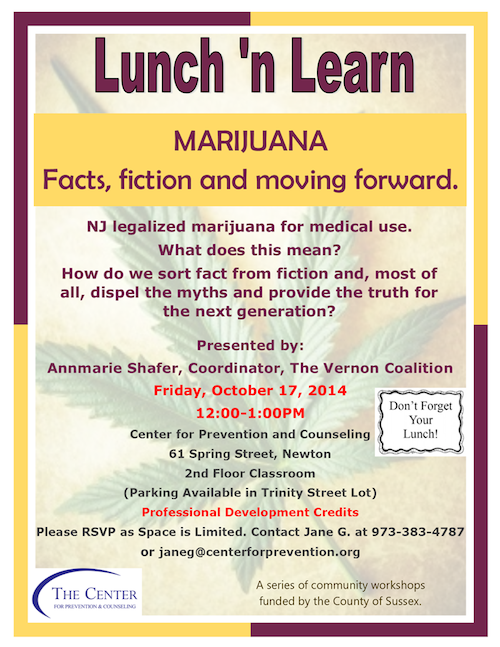 Space is limited, so please RSVP to Jane Gardner atjaneg@centerforprevention.org or 973-383-4787. 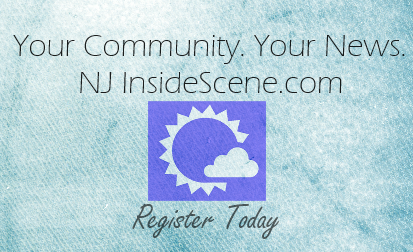 Legalized Marijuana in New Jersey Fact and Fiction. A Lunch ‘n Learn event with the Center for Prevention and Counseling.